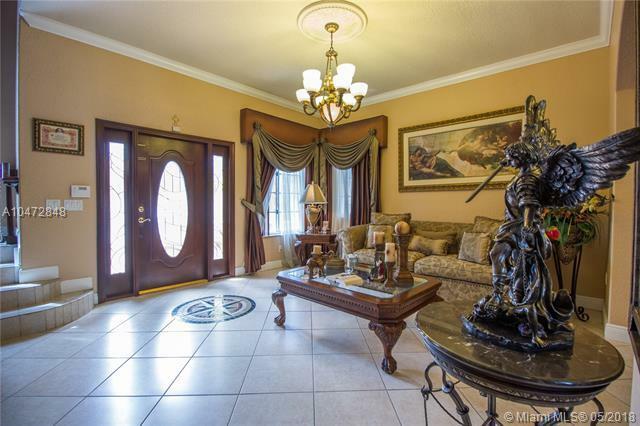 Come home to this gorgeous 5 bedroom 3 1/2 bath Gated Estate in desired neighborhood in Miami Lakes! 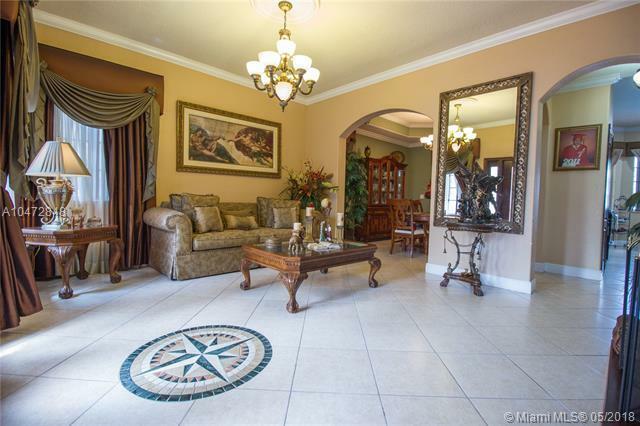 This magnificent home features gated entry with garage, and plenty of parking with enough space for a boat, a full terrace overlooking pool area with access from master bedroom, large pool & Jacuzzi, CBS Gazebo with kitchen and bathroom, surround sound system, vehicle access through backyard, accordion hurricane shutters, security system and so much more. Dead end street home, corner view along with canal access. 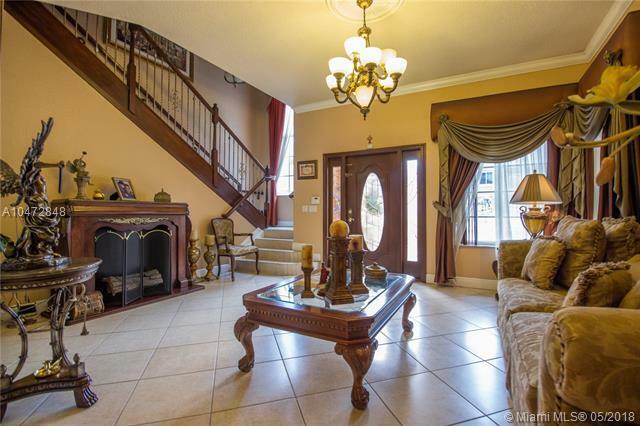 Don't miss out on this dream home with plenty of space for a large family, come see for yourself! Schedule a private tour today! 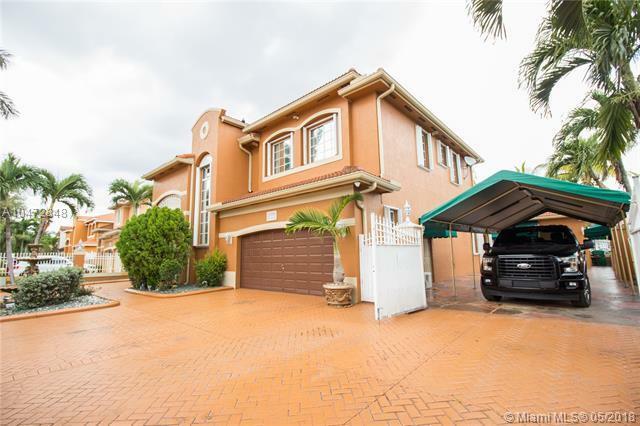 Listing courtesy of Kurz Real Estate.